Growing up, I love watching kung fu movie and the Chinese ghost movie (where the ghost is jumping around and one has to kill it with the black dog's pee). Remember those movies? If you do, then we are of the same age. Haha. Anyway, it has been quite some time since I last viewed a kung-fu movie. Last week, on an impulse, I decided to watch this movie (also because I see Michelle Yeoh is in the movie). 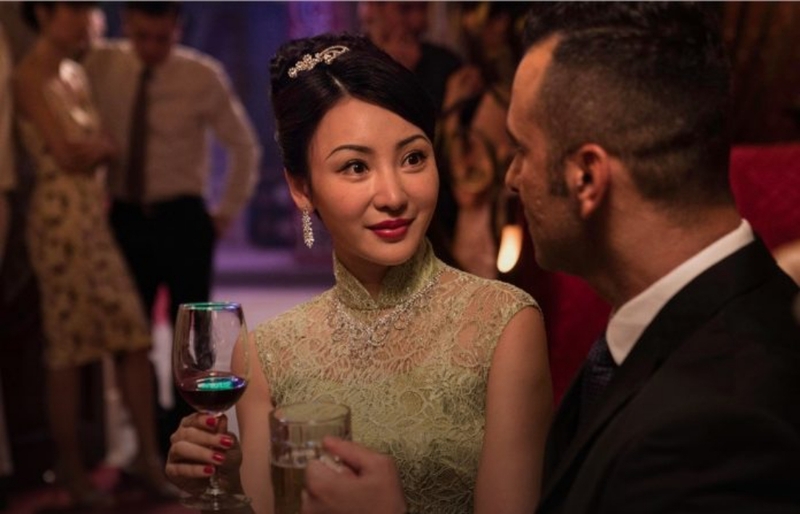 The movie is set in the 1960s when the Westerners are just starting to invest in the development of foreign lands and Hong Kong is booming with modernisation. I want all of you to buy seats for the Siti Nurhaliza On Tour Concert. 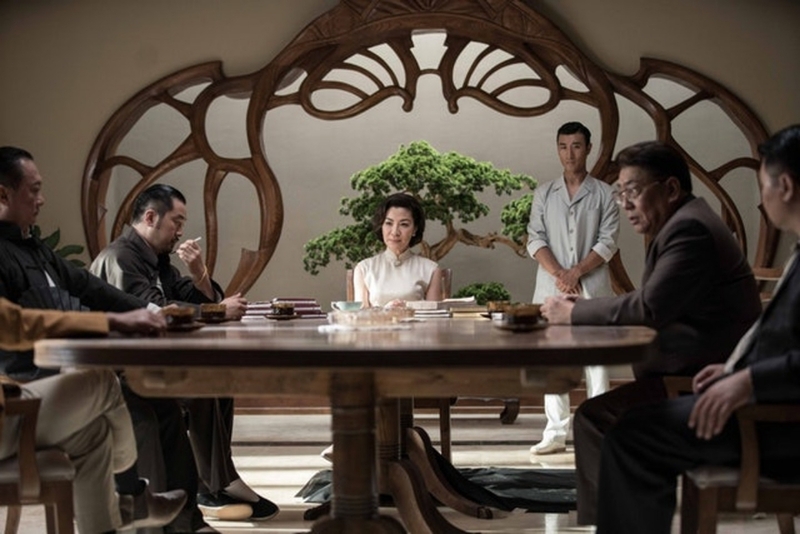 The movie started with the defeated Cheung Tin Chi decided to live a modest life - leaving behind him the martial world and living the straight life, raising his son. Once in a while, he moonlights as a mercenary. Until he decides to truly live a simple modest life as a grocer. Somehow, one's past will never be a thing in the past as it always catches with you when you least expect it. During one of his grocery deliveries, he comes across the damsels in distress, Julia and Nana who are trying to run away from Kit, a leader from one of the Cheng Lok's organised crime gangs. He helps the girls and in the process, gets caught by the police. Kit was released without any punishment but Tin Chi was detained longer which makes him late for his son's birthday treat at the famous steak house runs by one Mr Owen Davidson. I must have that ticket! You managed to get the tickets for me? Cheers to that! Kit, a sore loser that he is, decides to return the favour by lighting Tin Chi's house/ shop on fire. With him and his son barely escape the fire, Tin Chi manages to defeat the gang. Julia offers him shelter and her brother, Fu offers him a job at his nightclub, the Gold Bar. As his retaliation, Tin Chi lights one of Kit's opium den to ashes. Kit's sister, Tso Ngan Kwan, who is also the head of the Cheng Lok triad, instructs Kit to stop pursuing his vengeance as the Cheng Lok triad is turning over a new leaf and venturing into legit businesses. Again, being a hardheaded and hotblooded guy that he is, Kit decides not to heed his sister's advise and turn into dealing heroin on the Bar Street, the street that is run by Fu. After Nana has died due to overdose by heroin forced into her by Kit, Tin Chi and Fu starts to comb the street to find the source of the heroin. And during their course of unveiling the villain, the duo somehow gets into a fight with the Cheng Lok gang. And you want to fight me for that ticket too? Will Tin Chi and Fu succeed in their mission? Plot: 4.3/ 5.0. 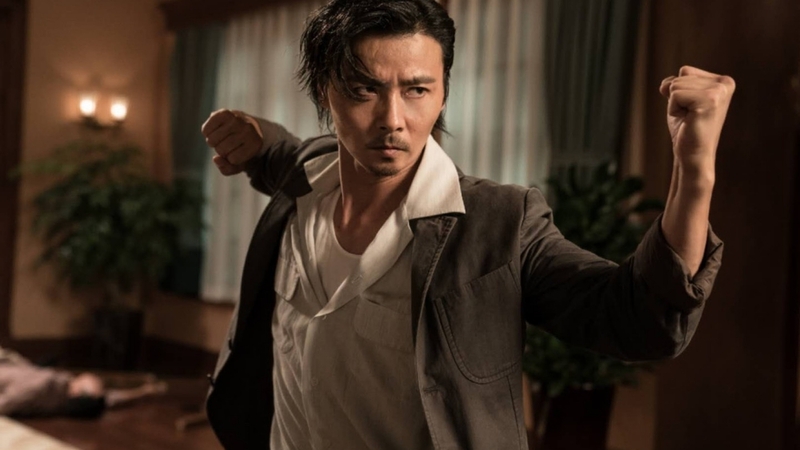 I am not a Ip Man fan but I know for a fact that the plot is very similar to any other movie - the champion tries to run from his past but somehow forced to relive the past again, in order to live happily ever after. It is predictable but the flow of the story brings you on a fun journey of the martial arts world in the 1960s. I kinda like the whole storytelling of this movie. 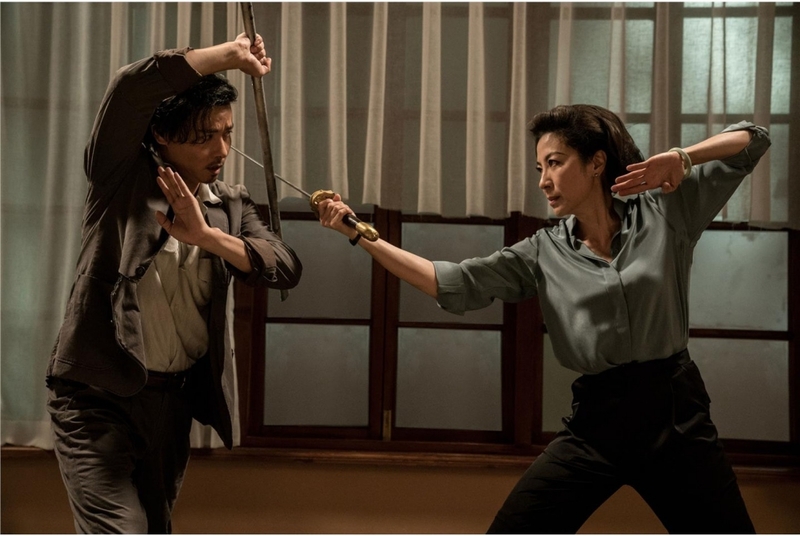 The choreography of the fighting scenes is cool, especially when Liu Yan and Michelle Yeoh fights! Woohoo! Cast: 4.9/ 5.0. 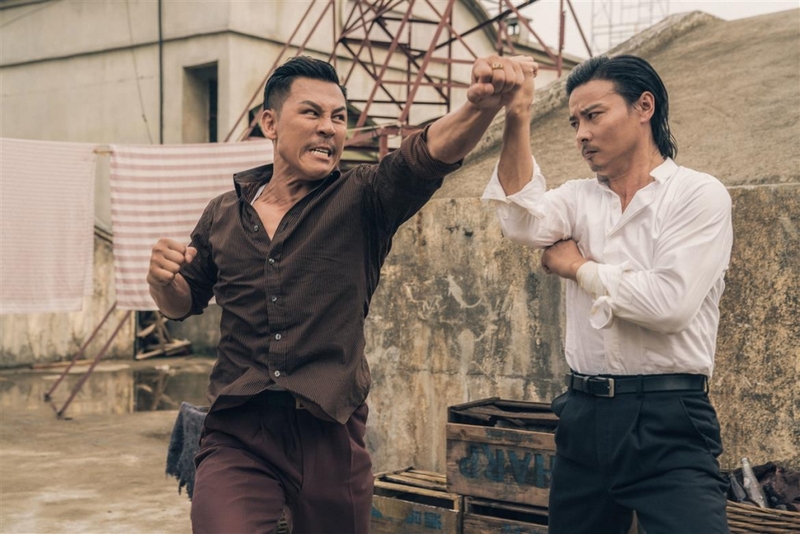 I did not watch the Ip Man Series so I will not be comparing the actors to the series. What a cast this movie has - star-studded! There's the mysterious mercenary Tony Jaa, the ever beautiful and graceful Michelle Yeoh, the bulky and good in the kitchen Dave Bautista and the ever serious Max Zhang. Not forgetting Liu Yan, who is not only beautiful but also can defend herself. I must admit that the fact there are strong women in this movie is another attraction why I chose to watch this movie. Will I watch it again: I don't mind watching it again with the right companion. 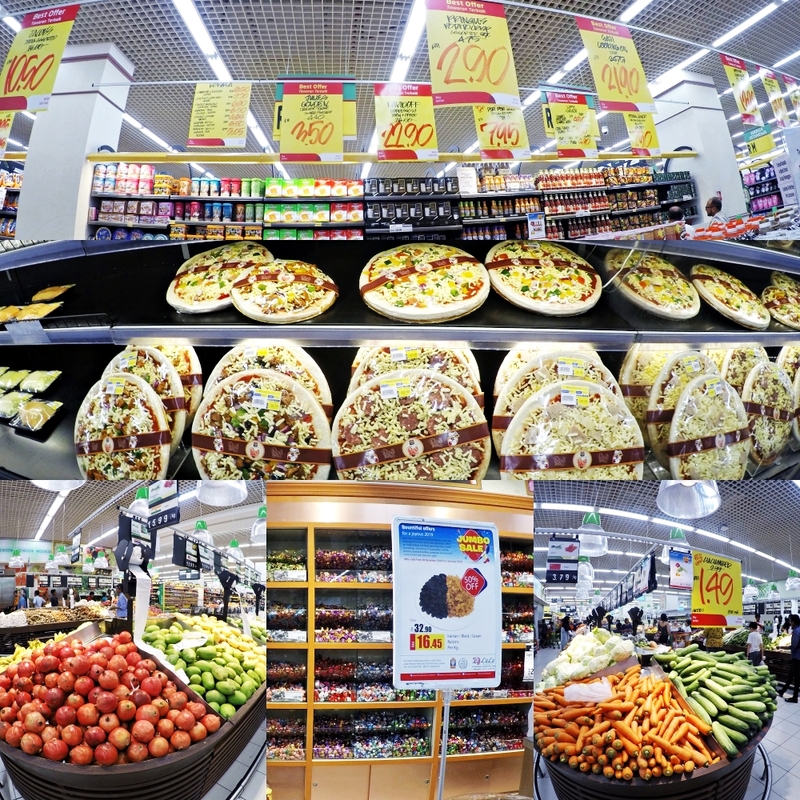 Lulu Hypermarket Capsquare Kuala Lumpur has done it again! Amidst the Year End Sale (YES) and Back To School that is currently happening here (and everywhere too), there is another huge sale coming your way(it is here already actually). 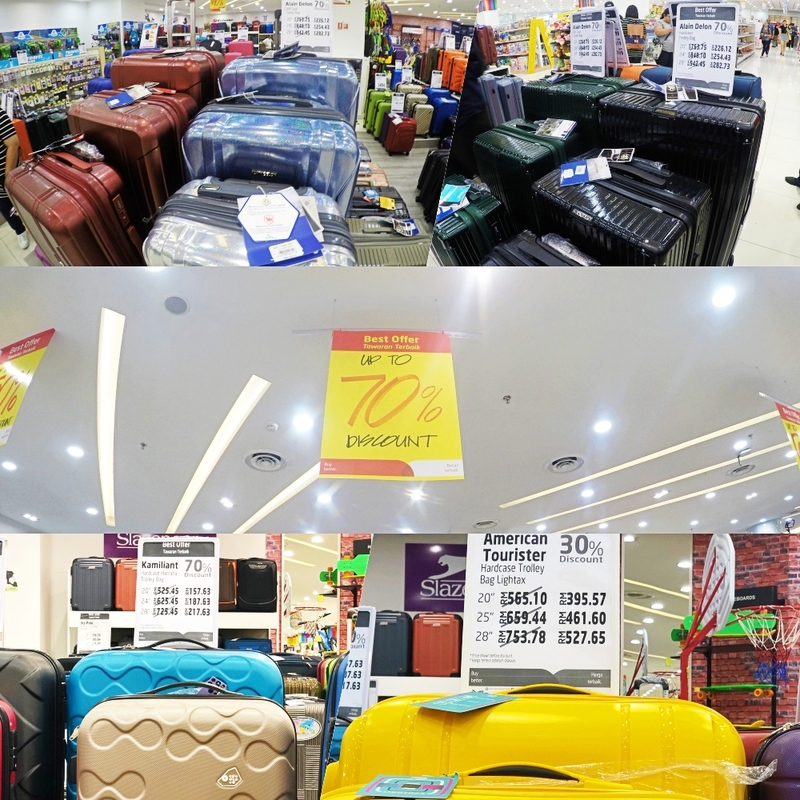 If you think the sales happening at Lulu for YES and Back To School is big, you'll be amazed and super excited while browsing through the floors of Lulu Hypermarket Capsquare Kuala Lumpur . 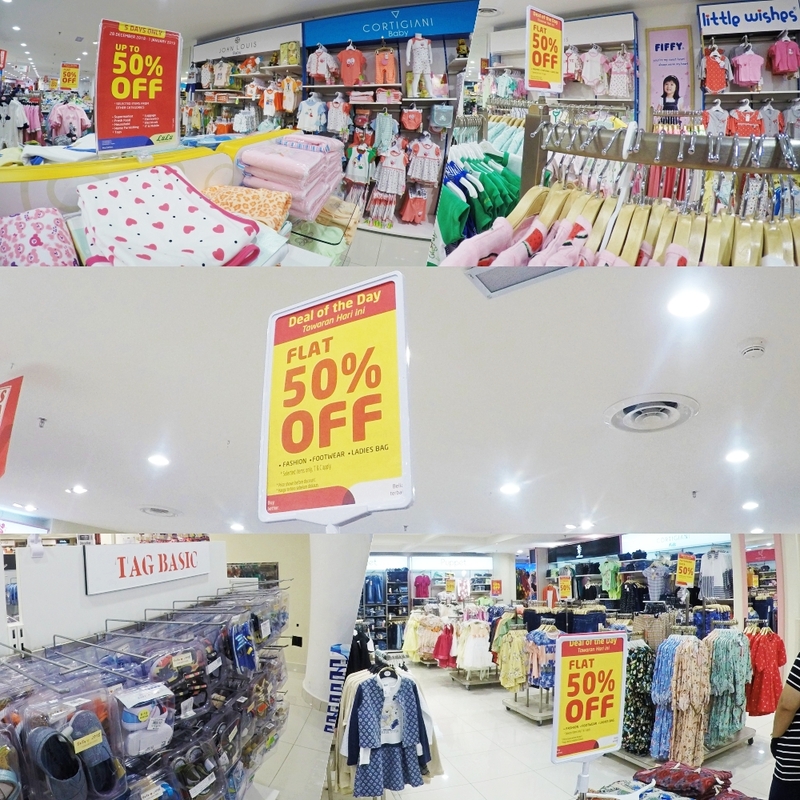 The offer know as the Jumbo Sale is going at 50% FLAT OFF (for certain items) and up to 50% (available for catogeries other than the ones in 50% FLAT)! Yes! You read it right! Let me break the categories down for you so that you can plan your move while in the store. FLAT 50% OFF is applicable on all fashion items (ladies, men & kids/ infant) from participating brands such Louis Philippe, Tag Basic, Marco Donatelli, Sunnex, Puppet, Eten and many more! 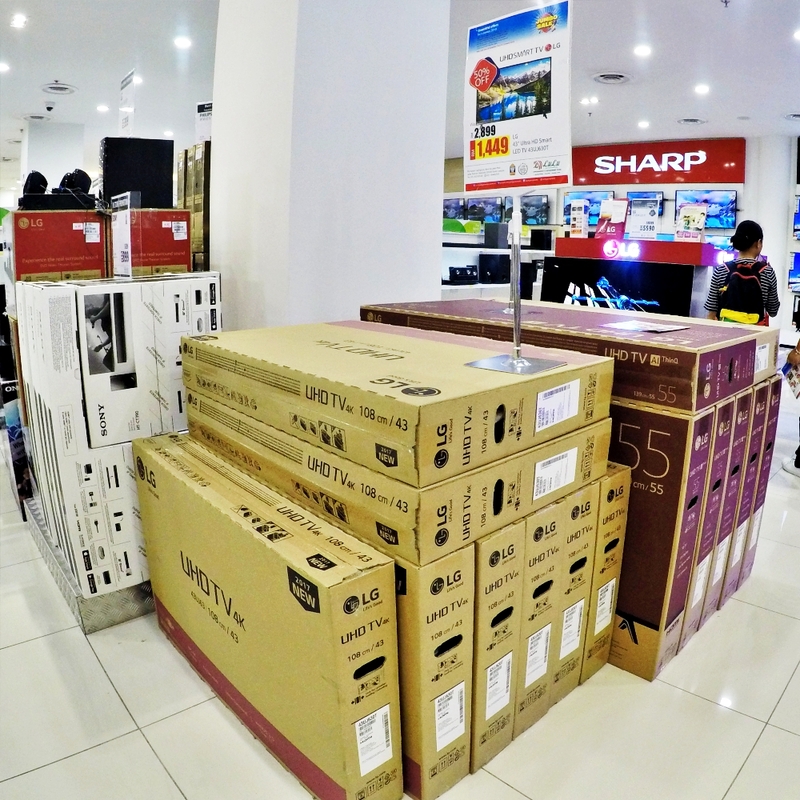 UP TO 50% OFF is available for other categories than mentioned above such as Electrical/ Electronics, Bakery, Roastery, Grocery Food and non-Food, Households, Home Furnishing, Mobile, IT and many more! Who doesn't love shopping when you can save more? 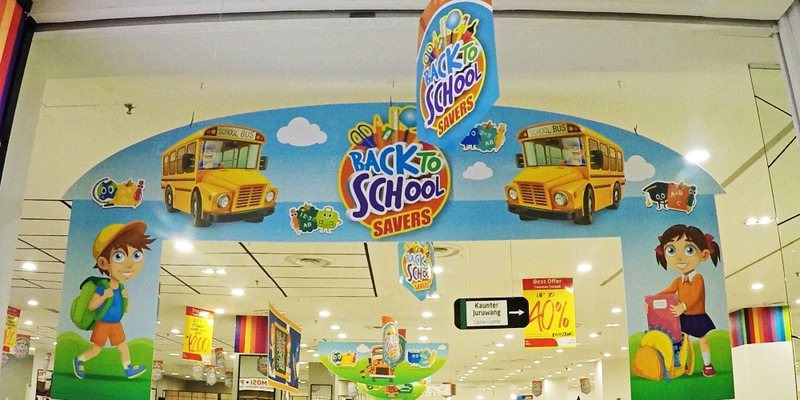 Apart from shopping for your kids' schooling necessities, you could shop for the house too here. 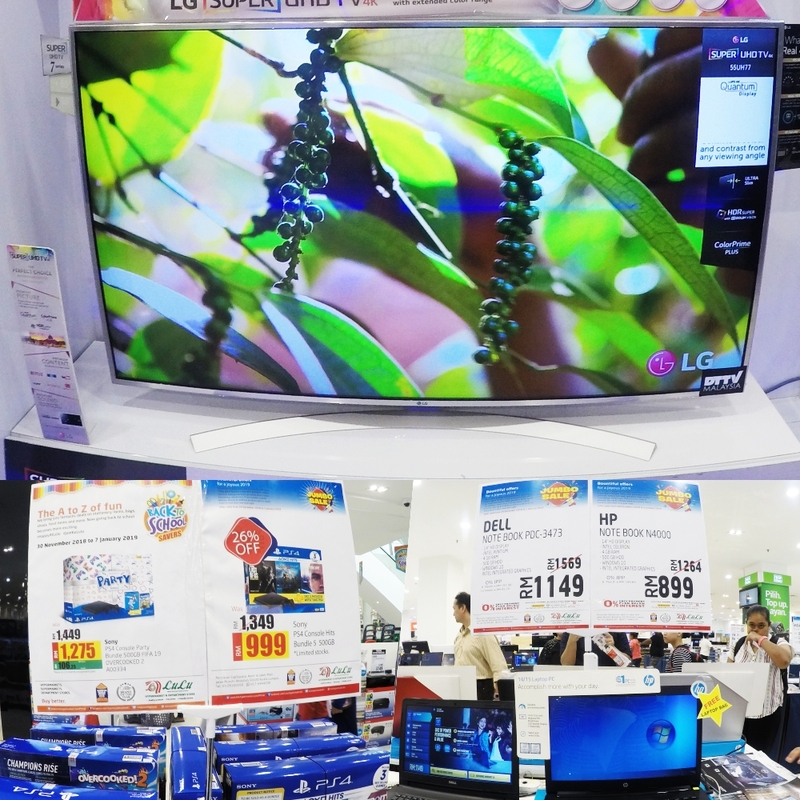 I was stunned when I saw a 43" LG Ultra HD Smart LED TV selling at RM1,449 (and the original price was RM2,899) and a Midea 7.5 kg Washing Machine Top Load selling at RM449 (original price was RM779)! 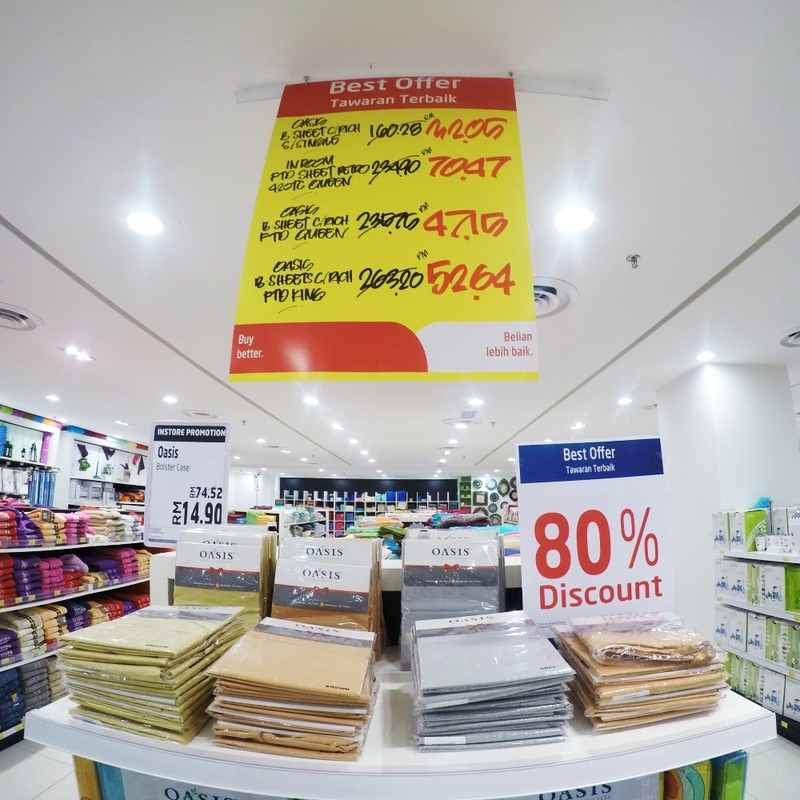 And don't get me started on the amazing discounts in the IT and Mobile departments - there are note books on sale for RM899 and an iPhone 6S on sale for RM1,248 only! 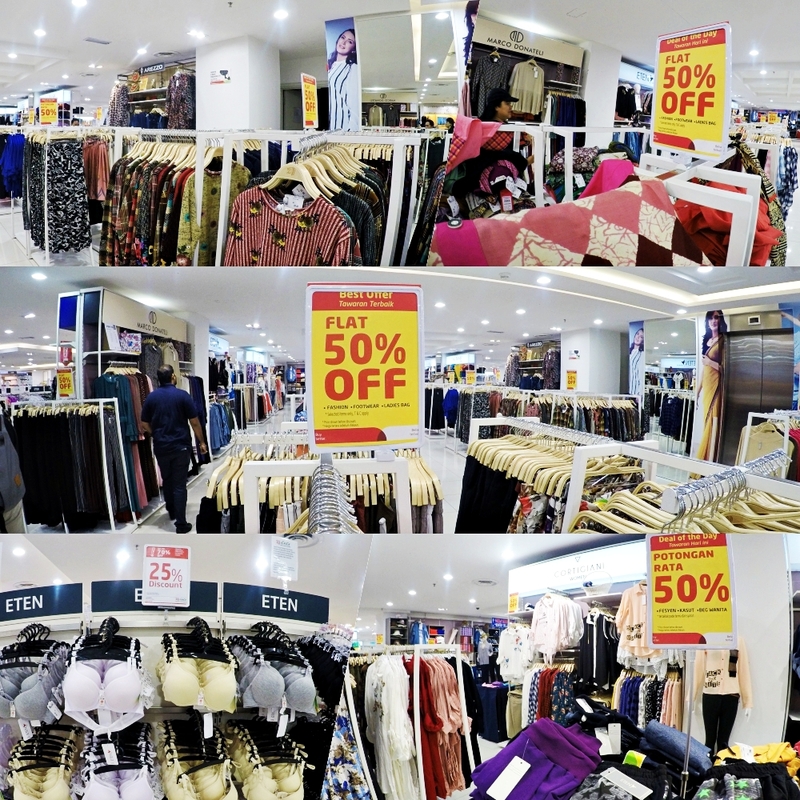 Don't forget to enjoy amazing FLAT 50% OFF at the Fashion Department. Get all your glamorous handbags, beautiful formal trousers, jackets and shoes and cute tutu dresses with such Jumbo savings! 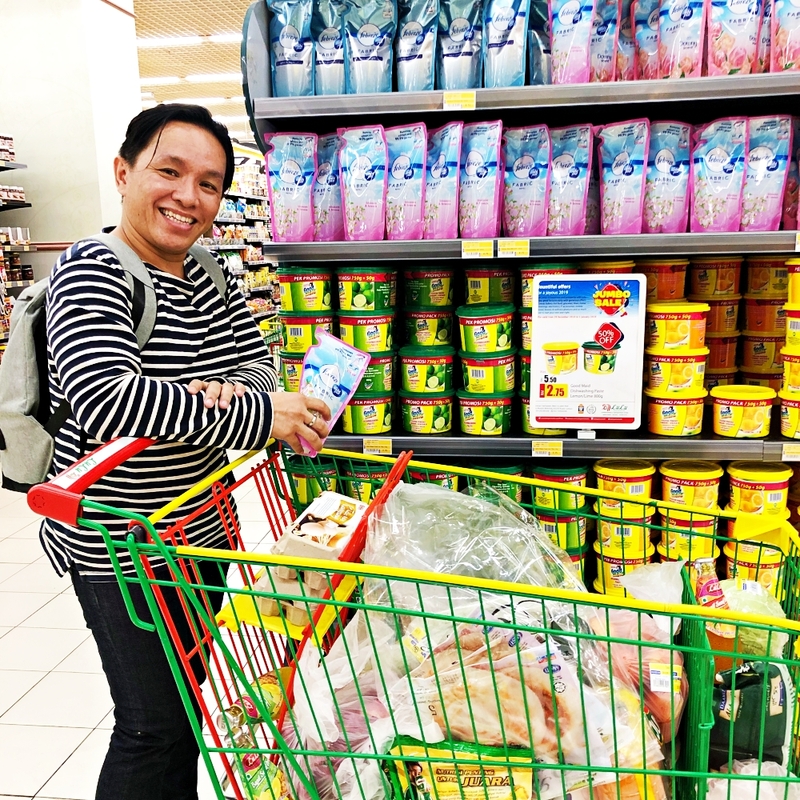 And while you are at Lulu Hypermarket Capsquare Kuala Lumpur you might as well get all the household necessities, groceries and also bakery needs of the home too! Almost everything is on sale UP TO 50% OFF! Just look for the items with the Jumbo Sale tag on it! Oh yes. 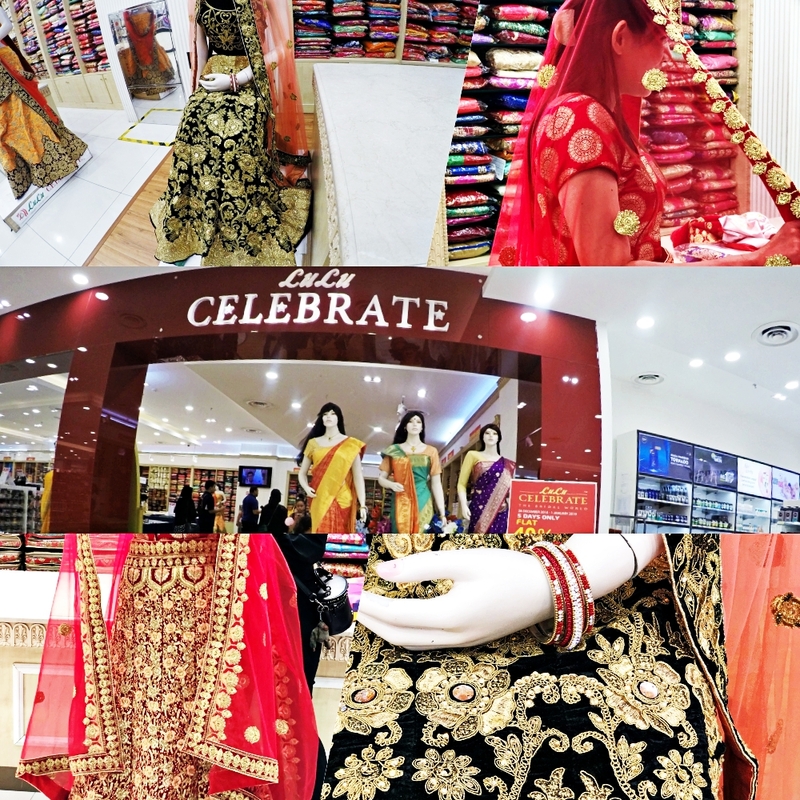 While you are there, do check out the Lulu Celebrate department as there is also a FLAT 40% OFF on sarees, churidas and lehangas too, just in case you want to stock up on these amazing festive items. 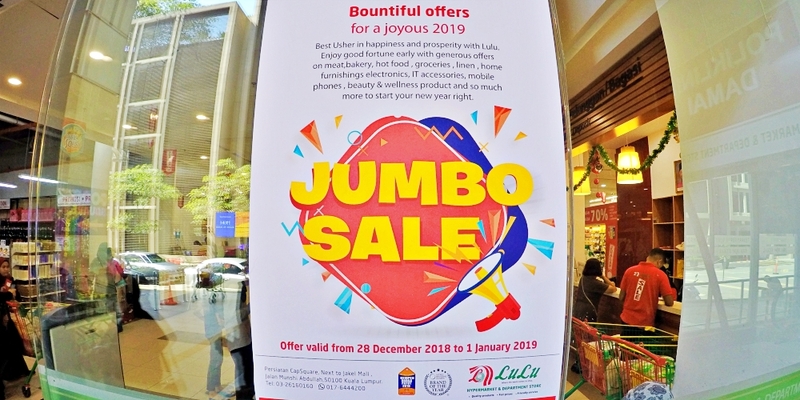 If you want to be among the first to know about the amazing deals happening at Lulu Hypermarket Capsquare Kuala Lumpur from time to time, just head on to the Social Media accounts here. Wearing perfume is an essential part of a person's daily grooming as it boosts the confidence of self. Imagine waking up and going to work with no perfume of any kind - dealing with co-workers, clients and daily chores will leave one sweating that could lead to unfavourable body odour. Nowadays, perfume has a diverse choice - ranging from perfumes, cologne, Eau de toilette to body mist that has a soft and light aroma that can be used every day. Jumping in the body mist bandwagon is Althea when it collaborated with Titi Kamal to launch the Stay Fresh Body Sparkling Mist, the latest addition to the Althea Exclusives family of beauty tools. Her most noted work is Ada Apa Dengan Cinta? Portrayed as an elegant and beautiful urban femme that Titi Kamal is, the Stay Fresh Body Sparkling Mist bottles up a feminine mix of fruity and floral scents. It has fruity and floral notes featuring orange, peach and rose, followed by an ever-graceful echo of rosy floral notes. So, what other goodness that we have in this can of elegance? As it gives out feminine scent, why do I have it? I spray it in my bedroom before I go to sleep and it tucks me in into a refreshing and sweet-scented dream through the night. I love waking up to sweet smelling surrounding and it keeps me fresh too. Psst. I might have brought it with me to the gym too. I just spray this can of fruity sweet smelling goodness after the shower and off I go - leaving trails of soft roses scent behind me. My Verdict I love the soft scent of Rose upon application. The scent stays long and it does wake the senses. I love the mobile size that enables one to bring it anywhere - just stuff the mist into the handbag, pouch or bag and you are prepared to face the day. It's the year-end holiday. And I have been watching a lot of movies so you will be reading a lot on the movies. And how could I not watch Bumblebee? Transformers is the cartoon that I grew up watching and still watching it up until now. On Optimus Prime's instruction, B-127 leaves Cybertron and escapes to Earth in order to set up a base of operations where the Autobots can regroup. Optimus stays behind to fend off the Decepticons and to ensure that the Autobots leave the Cybertron safely. B-127 crash landing in California, disrupting a military training that is being conducted by Lieutenant Jack Burns. Presuming that B-127 is hostile, Lieutenant Burns attacks B-127. As B-127 about to explain his arrival on Earth, the introduction was cut short by a Decepticon, Blitzwing. Blitzwing was sent to follow B-127 to Earth to ascertain the whereabouts of Optimus. When B-127 refuses to share the information, Blitzwing tears out B-127's voicebox and damages the memory core. Heavily wounded, B-127 manages to destroy Blitzwing before he collapses and transforms into a Volkswagen Beetle. Charlie founds B-127 in a scrap yard. The owner of the yard gives the Beetle to her as her birthday present. While repairing the Beetle, Charlie accidentally activates a homing signal that is detected by Shatter and Dropkick, the Decepticons who were in the middle of interrogating an Autobot on a moon. After killing the Autobot, the pair head to Earth and masquerades as the universe peacekeepers that are currently on a pursuit of B-127, a very dangerous fugitive. The pair successfully persuades the government to share the Earth technologies in their bid to capture B-127. Bee, that is not a robot and you cannot marry it. How dare they ask us to run on our feet- we are vehicles! Charlie manages to revive B-127 and names him Bumblebee. Accidentally, Bumblebee causes an energy spike that attracts the Decepticon's duo who manages to follow the lead and eventually captures Bumblebee. 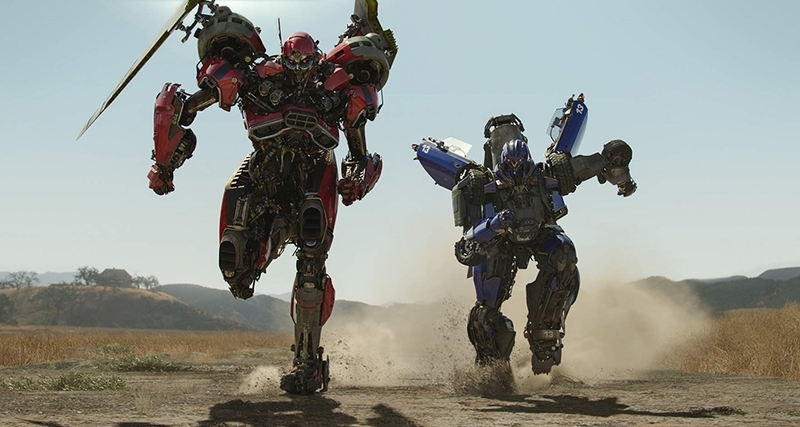 Failed to extort the whereabouts of Optimus from Bumblebee, the duo reveals that they are also planning to bring the Decepticons to Earth before leaves Bumblebee for dead. Err Bee, are you sure you need to use the toilet paper? Will Charlie be able to fend off the Decepticons from entering Earth? 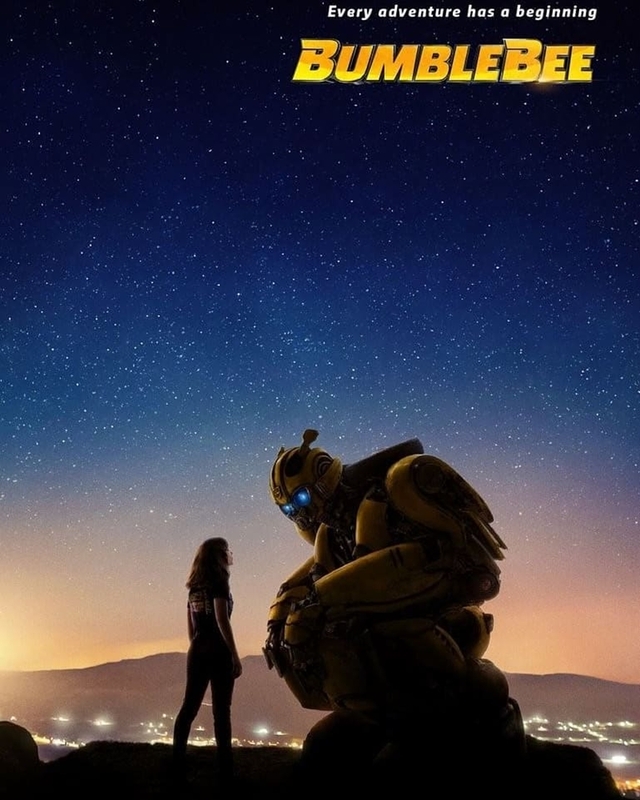 Plot: 4.9/5.0 I love the freshness of the plot of Bumblebee. 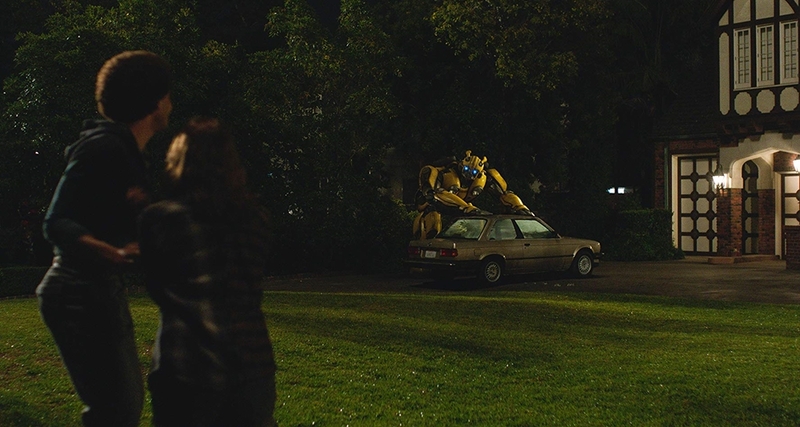 It shows the humbly beginning of Bumblebee, akin to a human too. The plot is creatively and ingeniously directed to build up the character of Bumblebee that makes you understand Bumblebee. 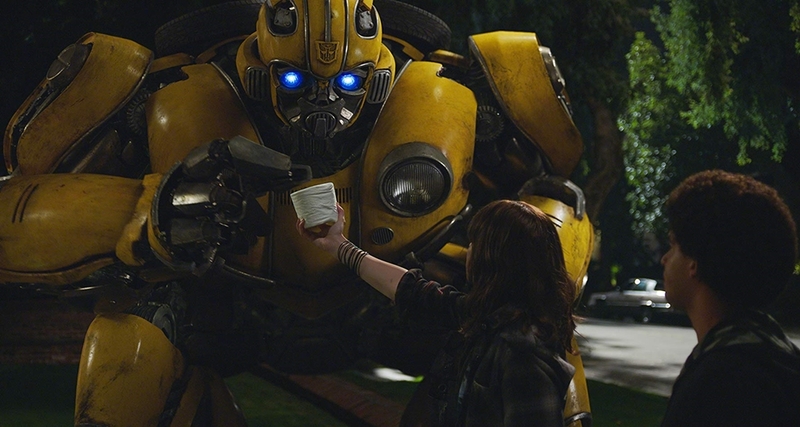 The chemistry between Bumblebee and Charlie drives the movie in the right direction. A glimpse of Optimus here and there throughout the movie was enough and not overly done. Am a happy Transformers geek here! Cast: 4.9/5.0 Hailee Steinfeld delivers tremendously as a disturbed girl with a huge secret. Somehow, I imagined The Rock will deliver much better performance as Lieutenant Burns but John Cena was not too disappointing. As a nerd who secretly in love with Charlie, Jorge Lendeborg Jr. plays his part very well too. If you have not, you better go and watch it, pronto! Well, I might be a bit biased because I love all superheroes movies, but yes, you should watch it as it is good! Not forgetting that the actors are all great to the eyes too! Thomas Curry, a lighthouse keeper saves Atlanna, the Atlantis princess during a storm. Eventually, they fall in love and have a son, Arthur. As abrupt as she enters the life of Thomas Curry, Atlanna has to leave her family to return to Atlantis to rule the kingdom. Arthur learns that he can communicate with the marine lifeforms and being ridiculed about his ability. Growing up, under the supervision of Queen Atlanna's advisor, Vulko, Arthur trained until he becomes a skilled warrior. When Arthur tries to return to Atlantis, he was rejected for being a half-breed. During a failed pirate attempt to hijack a nuclear submarine, the leader of Steppenwolf died after confronting Arthur, leaving the son, David Kane vows to avenge his father's death by killing Arthur. His revenge scheme starts to take form with the aid from Arthur's younger half-brother, Orm, whose aim to declare war on the surface - claiming that all mishaps happening around the world (Atlantis included) was due to the surface dwellers' doing. 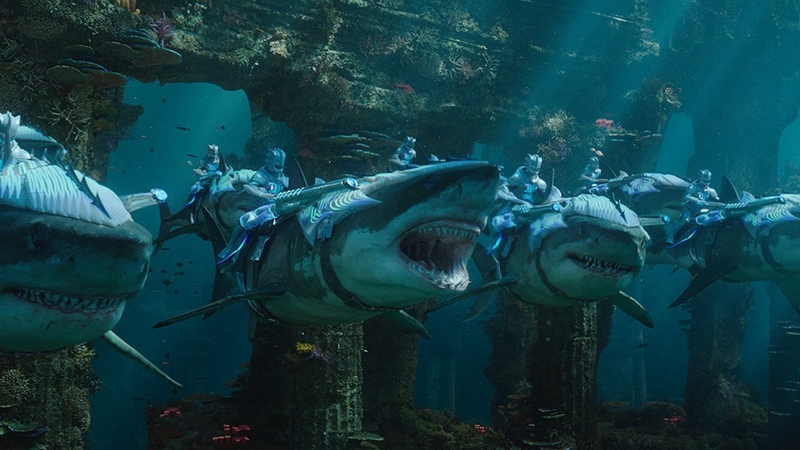 Orm seeks allegiance from the rest of the kingdoms in Atlantis in his bid to raise the army. The jellyfish brightens my outfit, provides great lighting and also my weapons in the time of need. So be very careful around me. 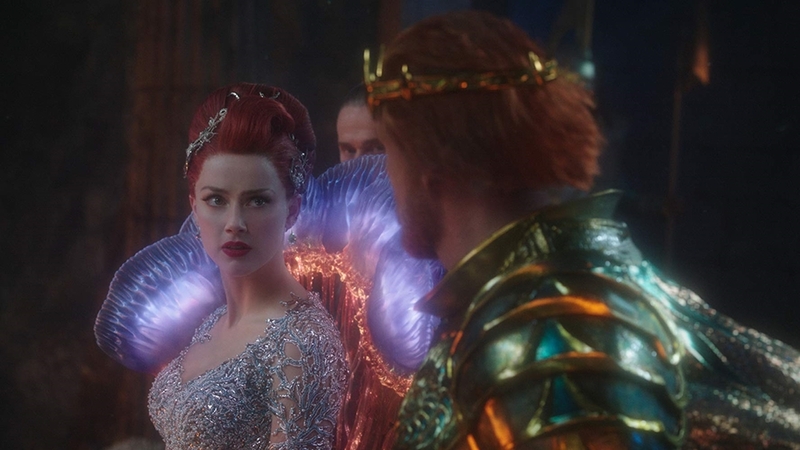 Mera, the princess of King Nereus and also Orm's fiance, refuse to aid the war plan and seeks Arthur for help. Slowly earning Arthur's trust, the duo travels the world to find the Trident of Atlan - a magic artifact that will assist Arthur to claim his rightful place as the King of Atlantis. Orm captures Arthur in one of the journeys. Before he offers Arthur an opportunity to leave Atlantis forever, Orm shares a story about the death of their mother, who was executed for the crime of having a half-breed son. Orm blames Arthur for that. Mera saves Arthur during his duel with Orm. Again, the duo travels around the world in search of the trident. Meanwhile, Orm provides David with Atlantean armour and weaponry to assist him in their bid to rid of Arthur. Their search for the Trident brings the duo to the trident's destination where they were attacked by vicious creatures known for their monstrosity, The Trench. Managed to escape The Trench and transported to an uncharted sea at the center of the Earth via a wormhole, the duo was rescued by Atlanna, who was sacrificed to the Trench for her crime and survived. In order to retrieve the trident, Arthur must first face the giant monster that guards the trident and prove he's worthy of the weapon. Will Arthur be able to prove his worth? Plot: 4.9/ 5.0. I have no words that could explain how much I love the movie. Call me biased but I do love Aquaman. The plot is direct and yet complicated and at the same time, engaging. You'll never get bored! Cast: 5.0/ 5.0 Bravo! Encore! Will I watch it again: Already did! "Dan dirikanlah oleh kamu akan sembahyang dan tunaikanlah zakat dan apa jua yang kamu dahulukan dari kebaikan untuk diri kamu, tentulah kamu akan mendapat balasan pahalanya di sisi Allah. Sesungguhnya Allah sentiasa Melihat segala yang kamu kerjakan. Al-Baqarah 2:110"
With such a list of trusted bank agents for the Zakat payment, now everyone can pay their bit anytime and anywhere. No more lining up at the counter or looking around for the Kaunter Bergerak Zakat PPZ MAIWP to pay for the zakat. Just head online, choose any of the banks as listed above and in no time, you would have done your bit. As per mentioned by Imam Muda Asyraf, Zakat is only 2.5% of the income. InsyaAllah, with such contribution that will assist others, you'll get more returns in life too. For more information on Zakat, just head on to Pusat Pungutan Zakat MAIWP or just call the Talian Zakat [1-300-88-5757]. Hello all. So this time around I will be reviewing a locally made movie entitled The Spiral. "What movie is that again?" some might asked. I asked the same question too when I was invited by a friend to watch the movie. When I asked my sister to accompany me, she immediately became very interested to watch the movie. So, I went on ahead to watch The Spiral because when my sister states her interest in a movie, that could mean something. As always, I went into the hall with an open mind. The movie starts with a killing scene - a guy killed in his sleep and his girlfriend/ wife was killed as she came out of the bathroom. The killer then goes into a club - having a monologue when a beautiful girl enters the club and joins him for a drink. But somehow, the face of the girl agitates the killer and he kills her. And then he goes to another cafe and kills everyone in it, just because a guy that bumps into him wouldn't apologise. Such an angry man! When he was about to leave the crime scene, Detective Inspector Aleana battles him and manages to subdue him. Dr Melanie Surya is the psychologist assigned to interrogate the killer but that rages the killer even more. Puzzled by his reactions toward seeing her and upon hearing his threat to kill her boyfriend, Dr Melanie told her boyfriend about the interrogation. The killer is identified as Jon Caine, a respected lecturer who went missing for three months before he returns and starts killing everyone in sight. However, the puzzle becomes even more entangled when Detective Inspector Aleana's team found a badly decomposed body, identified as Jon Caine. So, who is the killer? The killer, being very brutal and aggressive, manages to escape the asylum and captures Dr Melanie's boyfriend. While Dr Melanie tries to talk the killer out of his action, the killer kills the boyfriend to ascertain her feelings towards the boyfriend before disappearing into thin air, right in front of Dr Melanie's eyes. Puzzled of such feat, Dr Melanie was left traumatised and at the brink of being crazy, trying to figure out the incidents. Only after she met with her professor who explains about the multiverse, Dr Melanie manages to calm herself a bit as she knows about a fact - the killer is a universe traveller and he is travelling all over the universe to erase his problem. And somehow his problem involves Dr Melanie. Why is the killer so determined to look for Dr Melanie? Will Dr Melanie survives the ordeal? CONTEST ALERT Wanna win something cool? Head on to The Spiral Facebook Page and win yourself a Huawei Phone or a Canon Photo Printer. Hurry now as the contest ends on Jan. 2, 2019. Plot: 3.8/ 5.0 The movie revolves around so many universes/ multiverse that at times, one might get confused as to where exactly the scene is. I kinda like the twists thrown in the movie - the idea is great for a Malaysian movie. It keeps you guessing the real motive of the killer. Also, perhaps due to some limitations, the characters were not sufficiently built that I feel like half-satisfied with some of the characters. Considering all, I would say The Spiral has a gem in the making - a totally different kind of movie that one will not expect from a Malaysian movie. Not your usual movie here. And it wouldn't be fair to compare the technologies used with other countries. Cast: 4.0/ 5.0. Siti Saleha manages to uphold the movie with her emotions for different characters in the movie. Peter Davies also excels in his martial arts and applausable deliverance of heavy emotions. Some actors were just throwing lines - perhaps a better casting could have further livened the movie. The martial arts choreography was ok - at times seems a bit rehearsed. And may I request for a better cast for the extra actors too? They need a little more work. Will I watch it again: I don't mind watching it again, at my home. And I kinda looking forward to more movies from PF Wong and the group - you guys are a diamond in the rough - waiting to be discovered and to breathe in a new style of Malaysian movies. What is the best way to enjoy the holidays without breaking your account? STAY IN and ENJOY FOX! Why FOX? Because FOX Movies is bringing back its notorious Nights of Incredible with a huge line-up of chart-topping premieres and must-see films, for 61 nights! You heard it right! FOX Movies is bringing 61 nights of marvelous blockbuster films to your living room, bedroom or any other room that you use to enjoy FOX Movies channel. If you want to save your moolah on buying movie tickets, transportation and such, just buy some titbits and turn your own living space into a cinema throughout the Nights of Incredible. 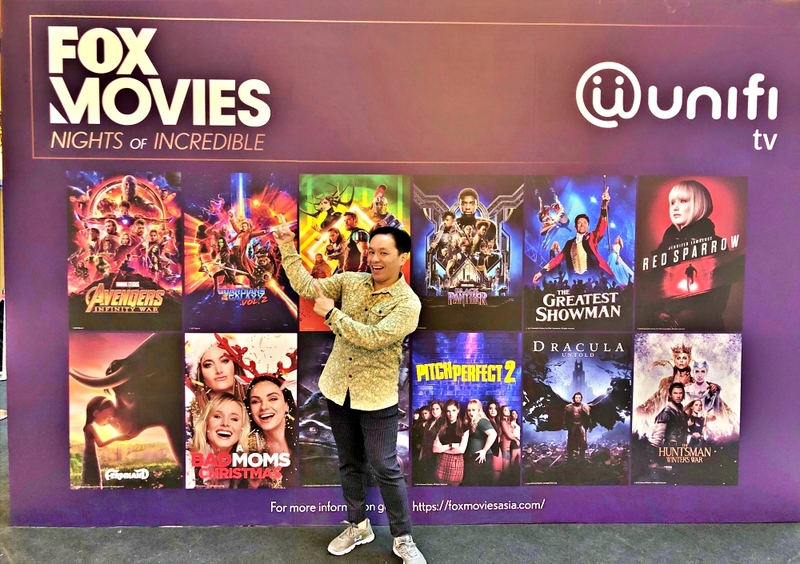 To kick out the Nights of Incredible, FOX Movies is hosting an event where you can win exciting prizes and is suitable for the whole family. 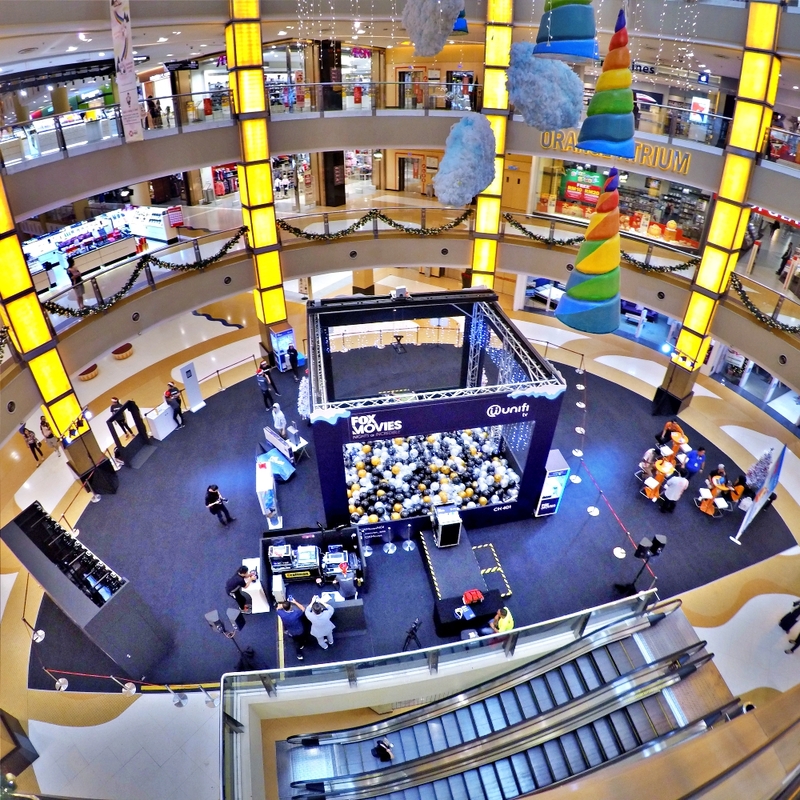 From 21 until 23 December 2018, just head on to the Orange Atrium of Sunway Pyramid and play exciting games with your family members. You might be going home with limited edition FOX Movies Premiums, Universal Traveller luggage and sach vouchers and much more. Pssst. The games are super easy - it is a sure win for all! Also, for the first 300 of new and existing unifi TV subscribers, there will be extra rewards for the sign-up or upgrade to Ultimate unifi TV package during the event. So, make sure to head on early to be among the first 300 lucky ones! 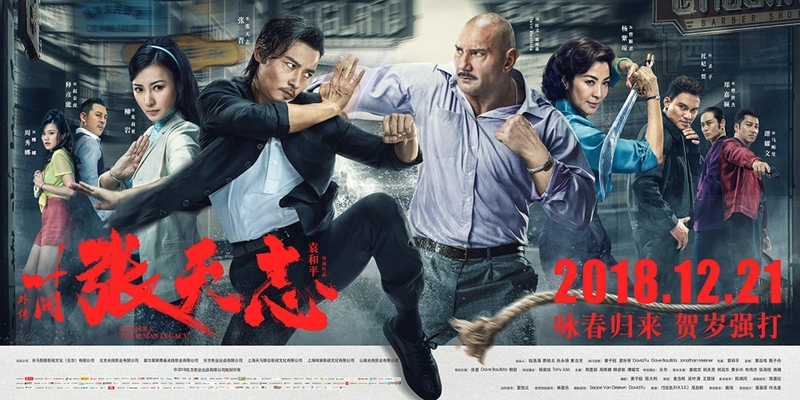 Back to the , as you can see from the poster above, the line -up includes more than 25 Hollywood premieres debuting for Asia's TV for the very first time. Aren't we the lucky ones? As if those weren't enough, for its huge finale, there will be a Marvel Marathon starting from the midnight of 1 January. So, please prepare enough food and drinks to last throughout the marathon of Marvel superheroes. It will be superheroes overload with Iron Man, Captain America: The First Avenger, Iron Man 3, Guardians of the Galaxy and Guardians of the Galaxy Vol. 2, Avengers: Age of Ultron and Avengers: Infinity War, Thor: Ragnarok and Black Panther. Oh. Don't forget to take toilet breaks in between the movies ok! As a person who used to receive zakat from the relevant bodies, I always have a special place for such initiatives for my newly dearest brothers and sisters. Thanks to all the relevant bodies that has been assisting them to adjust to the new surrounding. One of the bodies that have been willingly assisting the needy ones are MAIWP. MAIWP is the acronym for Majlis Agama Islam Wilayah Persekutuan (Islamic Council for the Federal Territory). MAIWP was established on 1 February 1974, simultaneously with the establishment of the Federal Territory of Kuala Lumpur. MAIWP was established to tend to Islamic affairs in the Federal Territory of KL. Subsequently, MAIWP also responsible for Labuan and Putrajaya too when both were declared Federal Territories on 16 April 1984 and 1 February 2001 respectively. So, how is MAIWP distributing the Zakat @ the Federal Territories? As declared, MAIWP is responsible for the distribution of Zakat @ the Federal Territories. 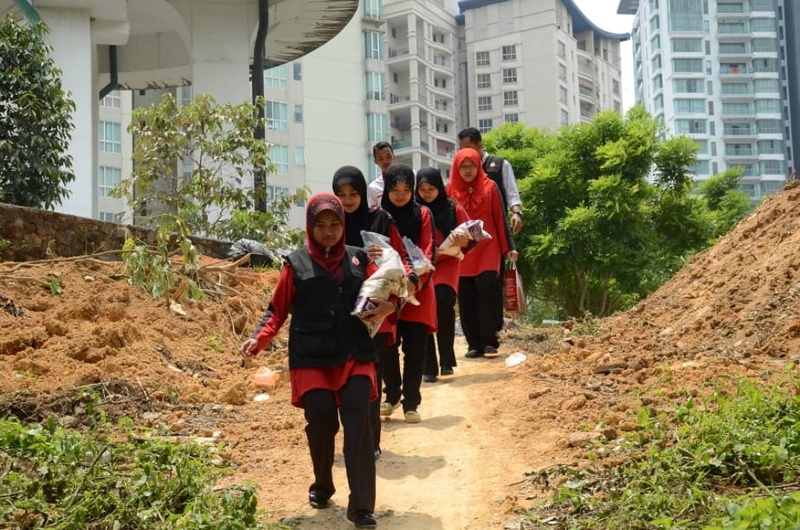 The collection is being carried out via Pusat Pungutan Zakat MAIWP. Whereas the distribution is carried out wholly by MAIWP. But, I heard some rumours that MAIWP is not distributing the Zakat as claimed/ not doing a good job at distributing the Zakat to the asnaf? It is hard to change the rumours as people love to gossip. No one will ever be able to escape the gossips. And gossips as gossips are - NOT THE TRUTH. Baitulmal MAIWP is the department of MAIWP that is responsible for the direct distribution of Zakat to the asnaf at all the Federal Territories. Currently, there are 28 Zakat aid schemes in place to assist the asnaf from all angles. The schemes encompass basic needs, housing, education, business, welfae and da'wah. The application for the zakat aid is open throughout the year. Here's a scenario how the schemes will assist the asnaf. A family of 4 (parents and two small kids) has been identified by MAIWP eligible for the following schemes. But I heard that the procedures and the processes to apply for the aids are troublesome. Prior to 2008, the application can only be made at the Baitulmal MAIWP headquarters. 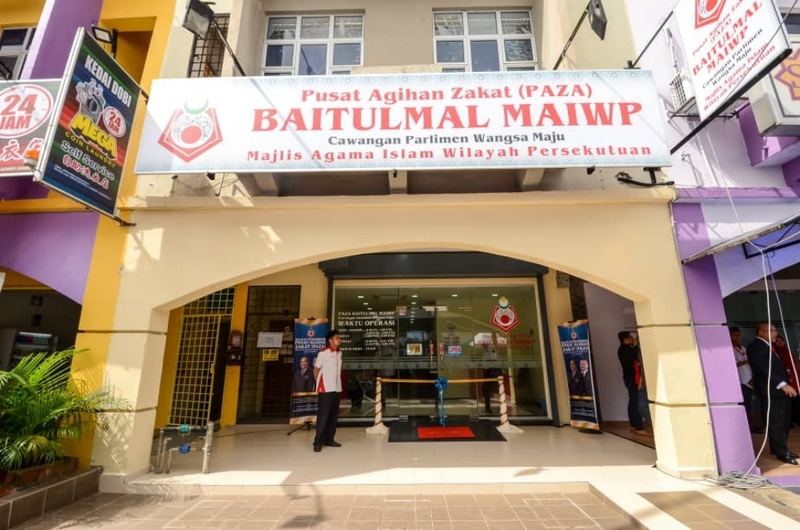 From 2008 onwards, MAIWP has opened 10 branches known as Pusat Agihan Zakat (PAZA) to assist in expediting the application process. The locations of PAZA as per listed here [PAZA Locations]. An application form is now only a two-page form and all kinds of applications can be made via PAZA. Not only that, Kaunter Bergerak Baitulmal MAIWP is also going places to reach further. 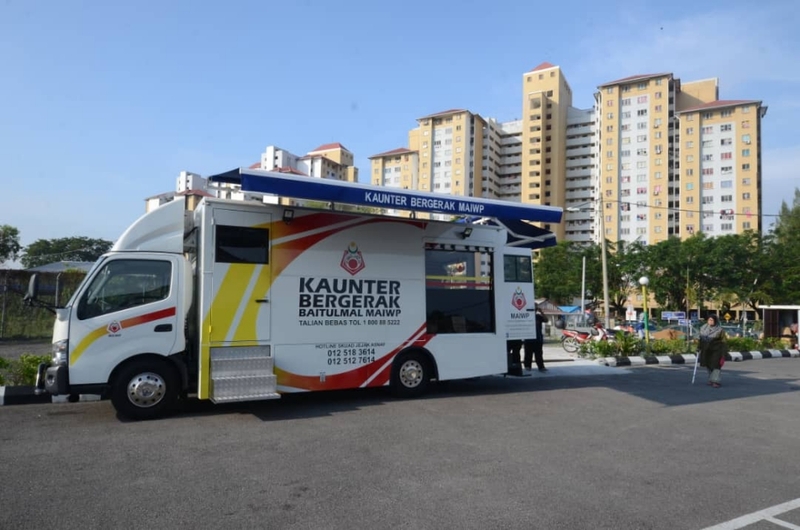 The locations known to be the center of the public such as the night markets, surau and mosques and such are the locations where one will see the Kaunter Bergerak Baitulmal MAIWP. Not restricting and depending their reach solely on the Kaunter Bergerak Baitulmal MAIWP, a tracing squad was formed to trace the deserving ones that were not listed or informed by the public to MAIWP. Skuad Jejak Asnaf Baitulmal MAIWP has been rounding all the locations at the Federal Territories to trace and enlist the asnaf. If you happen to come across the deserving ones that need any kind of assistance that fit the assistance requirements [List of Schemes and Requirements], you may contact the MAIWP via all these contacts. 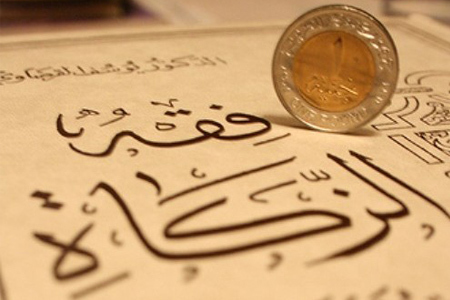 Are there any other means for MAIWP to distribute the Zakat? Yes, there are other means too. MAIWP assists in the development of establishments that benefit communities such as schools and colleges. As you can see, MAIWP assists in the establishments where knowledge are imparted to the younger souls and these deeds will further benefit the family, the society and the country in the long run. Owh. There are many ways to reach MAIWP. Surely, there will be bureaucracy involved right? No such thing as troubling bureaucracy in MAIWP. Surely filling in the basic details in a two-page form will not burden anyone as MAIWP needs all the information to assist them accordingly. The information shared is also crucial to recognize the needy ones as MAIWP assumes the trust of Zakat payers in the Federal Territory to distribute them to the eligible persons. And the application need not any confirmation from anyone, so the application will be evaluated solely on whatever is written on the form. Whereas the approval will only take 5 working days, and it will be very much faster for emergency cases - the assistance is almost immediately. What about the transparency of Zakat management? I heard that some questions the transparency. MAIWP is subject to audit practice by the National Audit Department (Jabatan Audit Negara), so yes, we have to be transparent of Zakat management. Before a single cent is given to the asnaf/ assistance for the establishment, it must be presented and approved by the Jawatankuasa Perundingan Hukum Syara' Wilayah Persekutuan that is chaired by Mufti. So far, MAIWP has received Sijil Audit Bersih since 2006, 4 Stars Rankings for Indeks Akauntabiliti Pengurusan Kewangan from the National Audit Department from 2011 - 2013.